I have more than just venison marinade recipes, check out more venison recipes at the end of the page. These marinade recipes turn ordinary tasting venison into a fantastic tasting meal. I offer several venison marinades for you to choose from below. Mix marinade ingredients together in a large resealable bag. Add venison and let sit in the marinade for at least 4 hours, overnight is best. Mix all ingredients well and place in a resealable plastic bag. Add meat and marinate for a minimum of 4 hours; overnight is best. Whisk ingredients well and pour into a large resealable bag. Add deer meat and marinate overnight. Drain well. Broil venison 3 to 4 inches from the heat for 4 minutes. Turn; baste with reserved marinade. Broil 4 minutes longer, basting often, or until a meat thermometer reads 160 degrees for medium or 170 degrees for well-done. 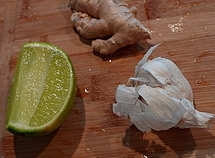 Whisk together the first 7 (marinade) ingredients. Place in a large resealable bag. Add the meat and marinate overnight - A Must. Remove meat from the marinade and pat dry. Wrap with prosciutto and place in a baking dish. Bake for approximately 30 minutes or until a thermometer reaches 150 degrees for medium-rare. Cook longer to achieve a well-done tenderloin. Following are some more venison marinade recipes. Marinades lend tender results. While the canola oil is heating in a skillet, sprinkle the venison with flour and pound with a mallet. Now add the venison to the hot oil in the skillet and brown it. Drain on paper towels. Sauté the mushrooms and garlic in the same skillet and then put the venison back in the pan. In a bowl, mix the tomato paste with the wine and add to the skillet. Cover and simmer for 1/2 hour. Serve with rice, mashed potatoes, or noodles. Lovely and savory venison recipe to impress the family. This is a great collection of venison marinade recipes.